It is almost official! Honda Racing will not disband but will become a private team called Brackley F1 (name borrowed from the town where the team has its headquarters), being taken over by managers Ross Brawn and Nick Fry and financed with money from several sources, among which include the current owner of the team, the Japanese car manufacturer Honda. Another news is that the British driver Jenson Button will remain with Honda accepting reducing its annual earnings by 50%, from 11 million to 5.5 million, the alternative being to remain outside the grid to start this season if Honda Racing had been disbanded, the other nine teams letting pilots and already for 2009. Rumors over the year it showed the young Bruno Senna, nephew of Ayrton Senna as the second pilot of the Japanese team, but the scale of the challenges that are in 2009 competition veteran Rubens Barrichello could become their colleague’s Jenson. 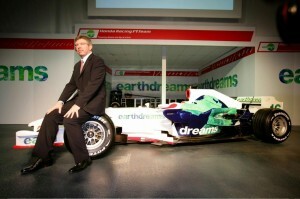 Once Honda and announced in December 2008 the total withdrawal from Formula 1, there were several variants of taking the team, among those interested to the Mexican billionaire Carlos Slim, the former manager of the Benetton and BAR team, David Richards, and Tony Teixeira, boss of the A1GP Series. 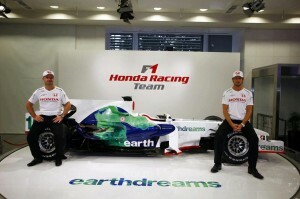 Last investors interested, Honda officials confirmed, was Virgin Group, owned by British billionaire Richard Branson. However, Honda Motor president, Takeo Fukui, has said this week that there were numerous discussions on the sale of Formula 1 team, but they were few investors who have thought seriously at buying the team. So the only remaining option to avoid dissolution Honda Racing Team was the team to be entrusted to the current executive leadership. British press published on Friday, details about the rescue team, supported ultimately by the Japanese. This plan provides that Brawn will take over and fry Honda Racing Team, and a part of the budget will be ensured even Honda Motor: an amount equal to that which would have been paid by the Japanese manufacturer for the team dissolved, about 80 million. Another part of the money will come from Formula One Management, the company owned by Bernie Ecclestone, an advance in the form of television broadcasting rights. Other amounts may come from various sponsors, who could be “persuaded” by a co-optation as a young pilot Bruno Senna, nephew of Ayrton Senna. 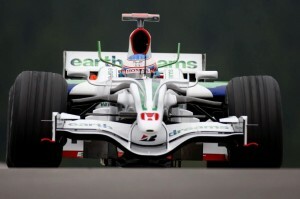 The monopost for the 2009 season is ready for more time; he was tested several times last year, with good results. Recently, it has been amended to “get” with Mercedes engines to be fitted into this season. Yes, you read right, the Mercedes engines. 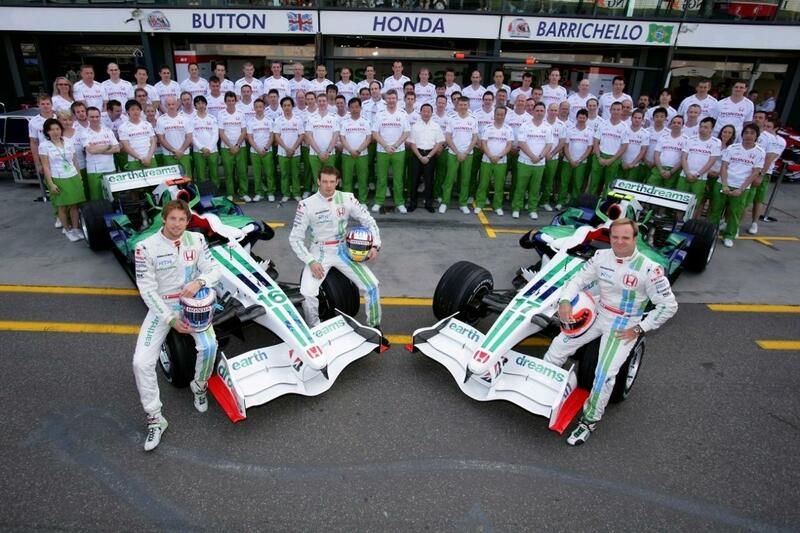 According to media in Albion, the official announcement of the participation team in season 2009 World Championship of Formula 1 will be made by March 5, then Button and his future teammates will participate in a series of private tests at Silverstone. Then, the team will go to Barcelona, where between 9 and March 12 will take place the last test session before the beginning of the season, scheduled for March 29 in Australia. 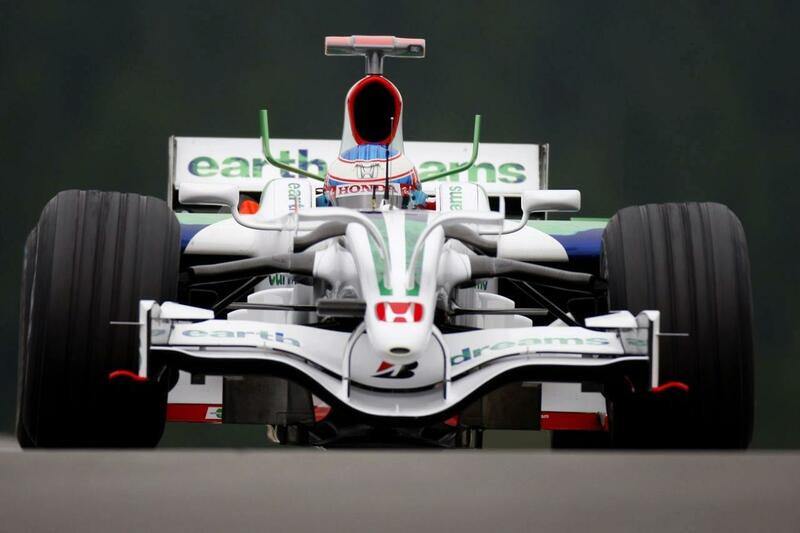 But Honda will have the opportunity to “recover” the band, where in 2010-2011 the auto market will improve and plan for reducing the costs of Formula 1 adopted by the FIA would allow a return.